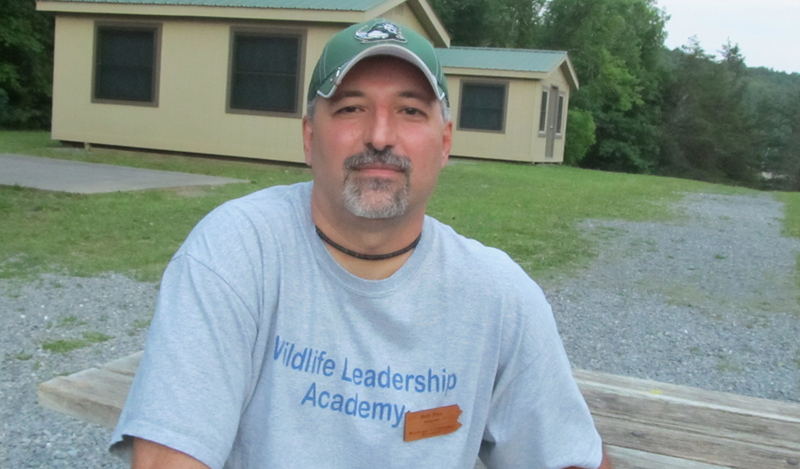 Public lands, like Cuyahoga National Park, offer all kinds of opportunities. Before Jurassic World, before Jurassic Park, before even the actual dinosaurs that spawned them, there was Brandywine Falls. Or at least the makings of it. Between 300 and 400 million years ago, Brandywine Creek began cutting its way through the Cuyahoga Valley. In nature’s slow but unrelenting way, the Brandywine gouged and scoured and burnished the local rock, Bedford shale topped by harder Berea sandstone. It took a long, long while, but – by 10,000 years ago, near the end of the last Ice Age — all that power chiseled out Brandywine Falls. Today it’s a 65-foot-tall “bridal veil” falls. It’s gorgeous – no less because it outlasted all manner of limb-tearing, flesh-eating, scream-inducing predators – year round, but will be especially scenic soon, when a backdrop of autumn’s colorful leaves renders it its most spectacular. 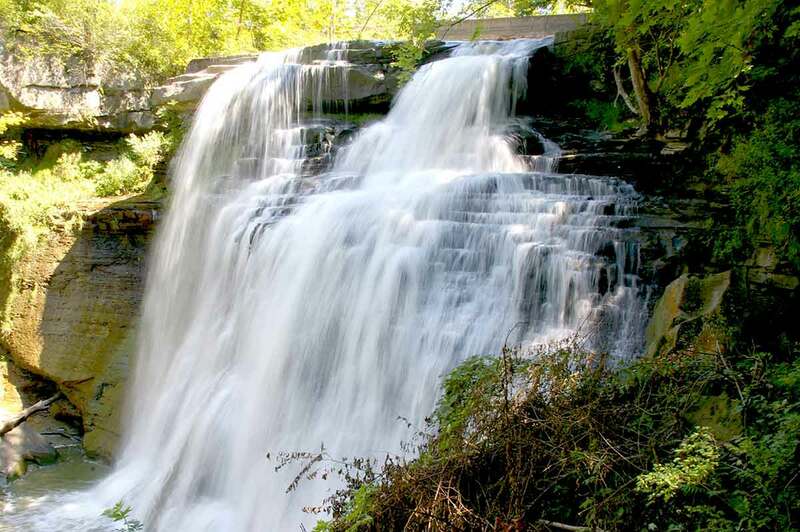 The falls is located in Cuyahoga Valley National Park in Ohio, between Cleveland and Akron. The park takes in 33,000 acres along 22 miles of the Cuyahoga River, into which the Brandywine flows. When we last visited we made a point to hike the 1.4 mile Brandywine Gorge Trail. You need not walk the entire thing to see the falls – there are upper and lower observation decks – but it’s worth the effort to get looks at the creek, surrounding woods and even vernal pools that in spring hold salamanders. That view is different every time you visit, if only subtly. The same power that “built” the falls eons ago continues unabated. What visitors see today will differ from what they’re children and grandchildren and great-grandchildren will see decades from now. America is home to hundreds of millions of acres of public land, be it owned by the federal government, like Cuyahoga, or the states. Management of those lands varies, depending on the agency in control. But it’s held in trust for the nation’s citizens, forever. The National Environmental Education Foundation first conceived of setting aside a day to pay homage to America’s open spaces. It’s the fourth Saturday in September each year. This year is the 25th it’s been celebrated. National Public Lands Day has two goals. One is simply to get people outdoors. As a result, national parks and other public lands that normally charge an entrance fee waive them on that day. The other is to get people volunteering. All across the country, state and national parks and forest and other public lands host conservation-minded volunteers who plant trees, do trail maintenance, refurbish picnic area, improve stream habitat and more. Last year, according to the National Park Service, on Public Lands Day more than 169,000 people volunteered at 2,100 sites, donating more than 680,000 hours of labor worth nearly $17 million. “Our natural resources are resilient, but only if we treat them right and give them the care they need. Through volunteer service on National Public Lands Day as well as grant support to local organizations, NEEF helps ensure people of all ages and abilities connect with public lands for recreation, hands-on learning, and community-building — now and in the future,” the Foundation said. If you want to volunteer, a listing of events can be found here. But if you can’t get out on the actual Public Lands Day, or missed it, you can still get outdoors. There’s plenty to do on public lands at this time of year. Hike. Temperatures are falling, though not yet too frigid. The bugs are less populous, though you still have to be aware of ticks. And nature’s color palette is about to be at its most spectacular. Paddle. Sooner rather than later, taking to the water will require special cold-water gear. But for a bit yet, it’s possible to canoe or kayak without those special precautions. Take advantage of that. Camp. Many campgrounds remain open and, with children back in school, the crowds are gone. If you can sneak out during the week, plenty of solitude awaits. Backapck. The same applies to backcountry sites. You won’t necessarily be alone – lots of people love the season – but there’s room to share. Fish. The dog days of summer, which can make being on the water an endurance test, are just about gone. The fish feel it, too. The action often picks up as they feed more aggressively before winter. Hunt. Not every piece of public land is open to hunting. But there’s plenty of opportunity out there. Combine activities. Want to camp and hunt? Backpack and fish? Paddle to a remote site and then hike? Public land offers chances to do it all. So get up, get out and enjoy America’s public lands. Nature, as with Brandywine Falls at Cuyahoga, has been working a long time to prepare things for you.